Double Cover!! 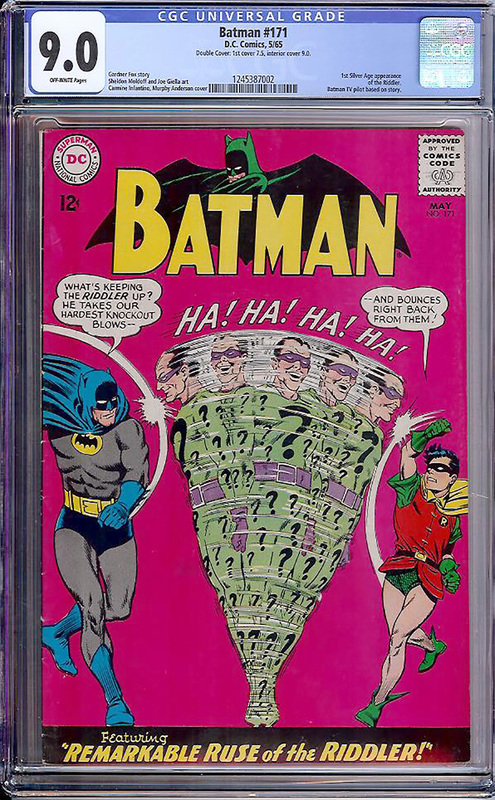 First Riddler in the Silver Age!! Incredibly popular and tough to find in high grade issue. Strong VF/NM with off-white pages. Great Murphy Anderson and Carmine Infantino Riddler cover. The Batman television show's pilot episode was based on the Gardner Fox story! !